Elizabeth Taylor's parting has spurred a lot of interest in her movies. In the last week, I have learned a lot about this iconic actress including the facts that she was beautiful and talented. Both of those facts were evident in The Last Time I Saw Paris, which I rewatched yesterday. 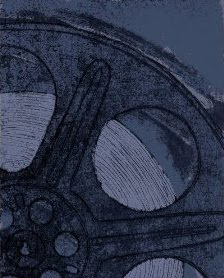 The copy I watched was old and definitely showed the age of the film. However, the sights and sounds of Paris and the beautiful Elizabeth Taylor had no problem capturing my attention. 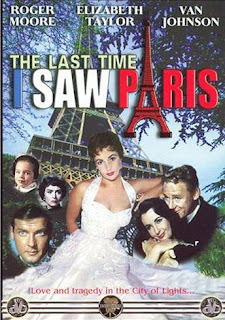 If you love Paris and/or Elizabeth Taylor, I do recommend a trip to Paris via The Last Time I Saw Paris. The plot line loosely follows that of F. Scott Fitzgerald's Babylon Revisited and, as the box says, tells the "emotional story of a lost generation and its beautiful people." It tells the tale of two lovers who struggle to be happy and find meaning in the life of post-war Paris. He an American G.I. living in Paris who wants to be a writer. She a wife and mother who yearns for something more and meanwhile lives the party life. And regarding the blu-ray version? Well, it doesn't exist yet. As a matter of fact, I have not been able to locate any of Elizabeth Taylor's movies on blu-ray. Order your copy of The Last Time I Saw Paris from Amazon. Read more about The Best Elizabeth Taylor Movies.